Mycelium uses the distributed online ledger known as the Blockchain to process transactions. The currency-pegged digital tokens can be understood as digital “paper banknotes” that are secured from counterfeiters and boast a near-zero cost of transaction thanks to the Blockchain. For merchants and operating institutions, Mycelium provides Blockchain-compatible software consoles for managing invoice payments, purchases, account replenishments and other operations. 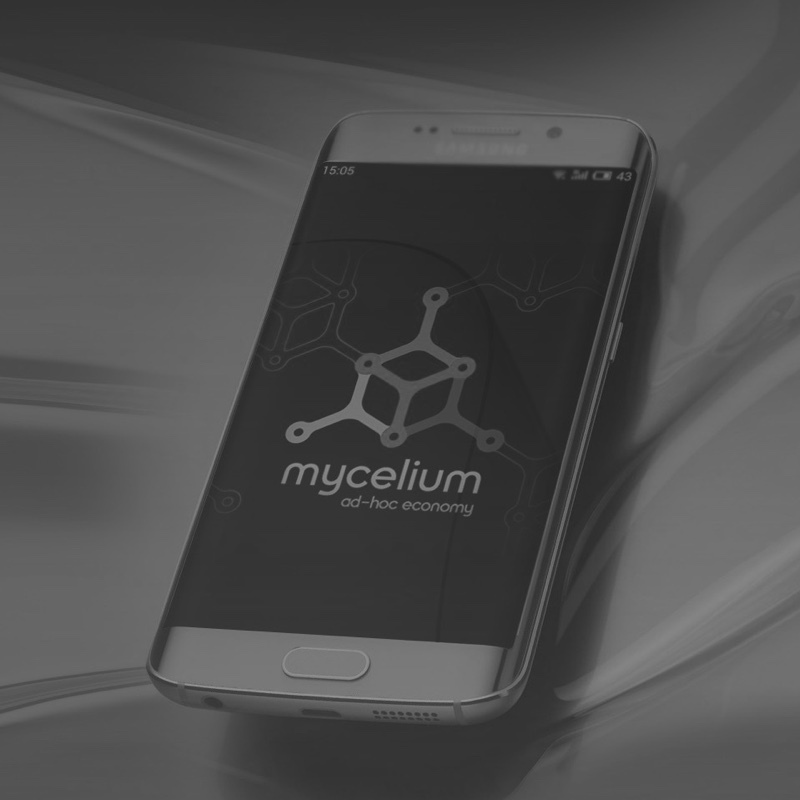 For consumers, Mycelium provides a mobile wallet and Blockchain-compatible card for sending and receiving payments. The mobile wallet functions similarly to many advanced payment and banking applications. 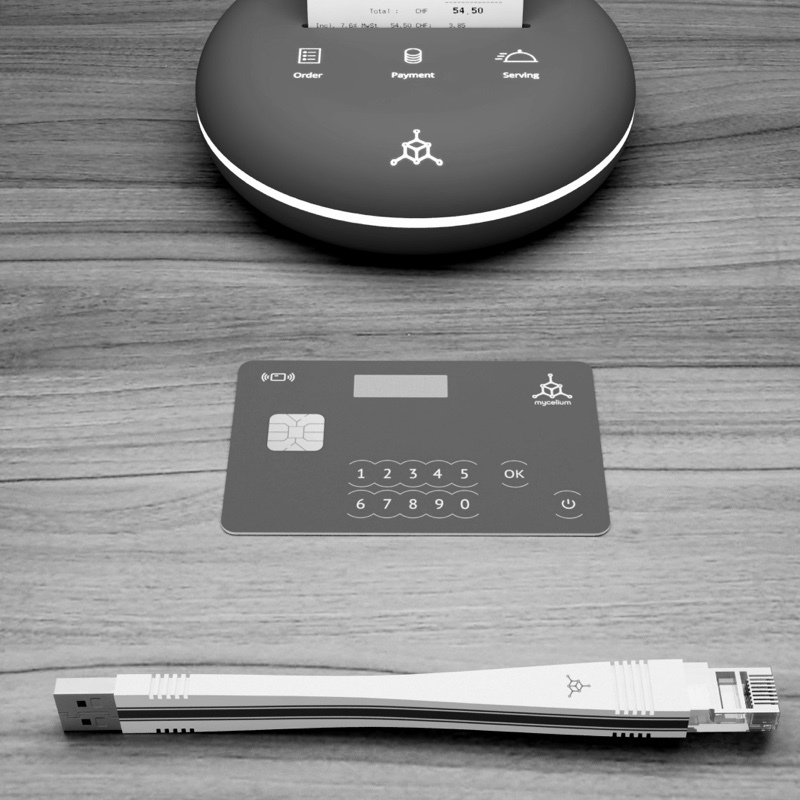 The card is a tiny, flexible computer with its own CPU, wireless connectivity, graphics display, keypad, rechargeable battery, and input/output contact plate housed in a convenient credit card-sized plastic enclosure. 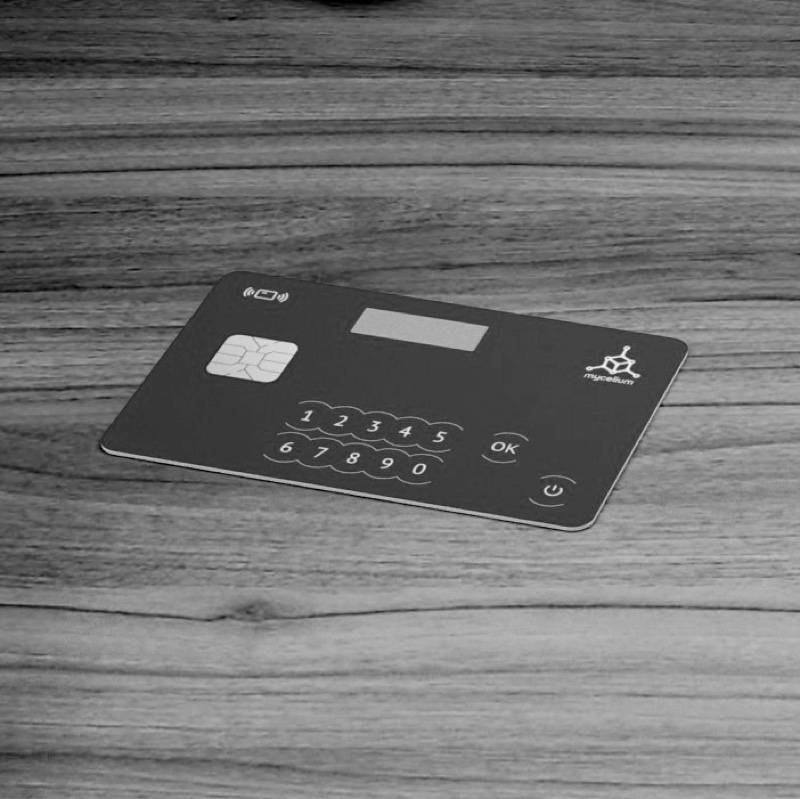 The card’s payment process works over the protected proprietary wireless protocol within the ISM radio frequency band and have a range of a few hundred feet. Mycelium does not use any cryptocurrencies for payments. It uses digital tokens that can be passed over the Blockchain from one node to another in a secure, fast, and inexpensive manner. Each type of unit is backed up by the legal promise of an issuing institution just like any fiat currency or legacy-protected asset would be. Flexibility is key. Any issuer can create a community of card holders, set pricing, and transfer any type of asset over the network. The acquirer function has become simplified and seamless. Inexpensive, fully wireless and contactless POS. 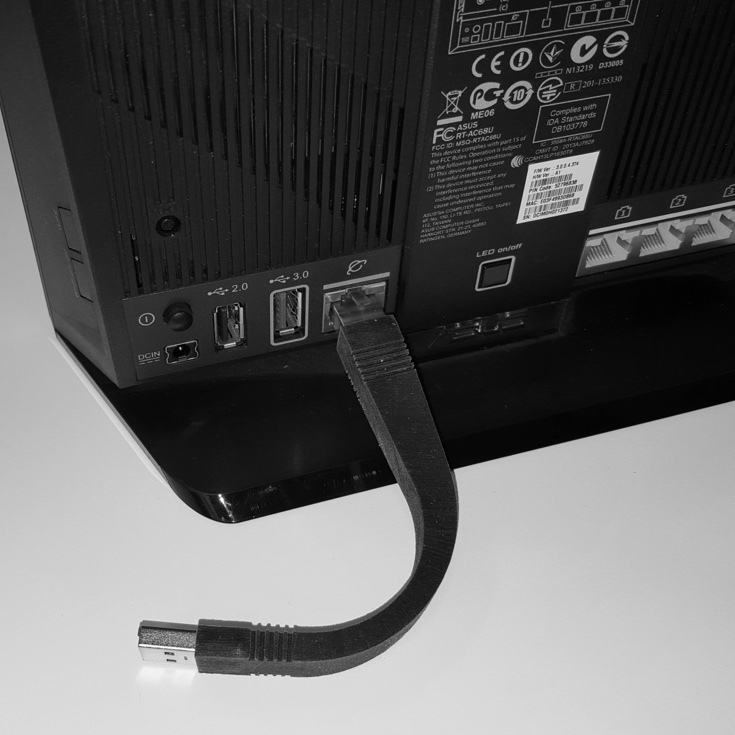 Hooking up to the network requires only a few minutes and costs around $10. Merchants can use regular internet service providers and ordinary routers to connect. Security or authorization codes are entered directly to the card by hand. Nothing ever touches the card. Contact-less long range functionality allows a merchant to perform a transaction anywhere within a nearby vicinity. Mycelium serves a diverse community of financial institutions and merchants by offering competitive business solutions for the technological environment of a new generation. The “FinTech revolution” has arrived and Mycelium eases the inevitable transition to safer, less expensive, and more transparent payments methods for every party involved. Mycelium does not use any cryptocurrency. Its value units are backed up by the legal promise of an issuing institution. Units can be exchanged over the Blockchain in a secure, fast, and inexpensive manner. As a longtime and prominent member of the Blockchain business community Mycelium is the natural choice for disruptive and innovative payment solutions within this burgeoning commercial space. Unlike the competition, Mycelium is self-sufficient. It does not use large credit card networks’ digital enablement programs or POS systems. Unlike traditional systems (e.g. Visa, AmEx, MasterCard) Mycelium utilizes only a few hardware elements to achieve unparalleled efficiency. Mycelium is a comprehensive alternative; it offers a complete solution while incumbent systems represent only part(s) of a complicated framework. POS: $100 range; Mycelium Card: $50 range. There is no other hardware required. Uses ordinary networks. ISO compatible card size; compatible with the legacy infrastructure; established user perception. Cards are mesh-network ready (i.e. include signal propagation); software-upgradable over the air. The colored coins (over Bitcoin) protocol supports payments in fiat currencies and transfers for other values. 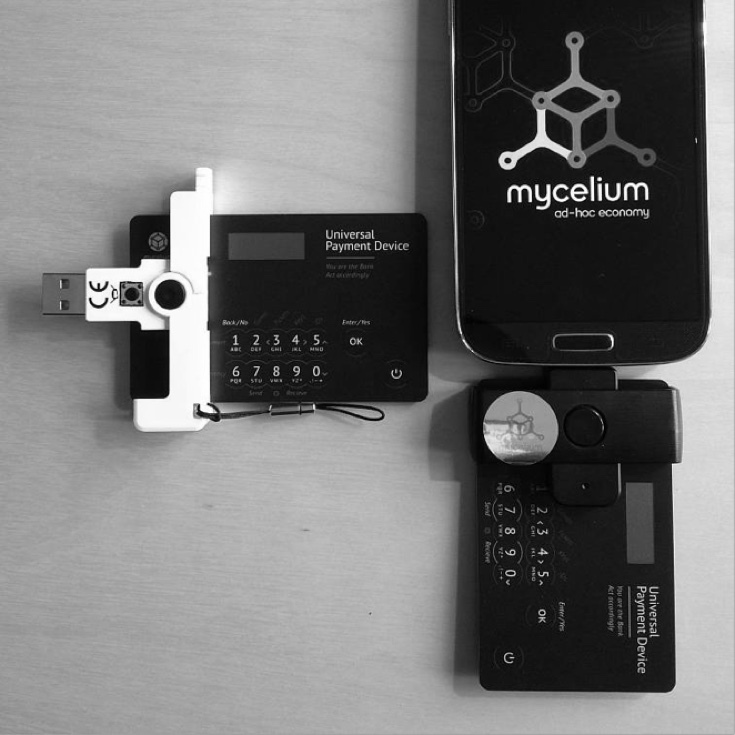 Mycelium card—a compact, stand-alone device acting as electronic wallet—can function as a key, pass, ticket, ID. RoHS compliant; FCC and EC compliant; useable in all Chip and PIN (EMV) machines/devices. Blockchain security. ECDSA 256 bits signature calculation (1700 ms, 2.97 mW consumption); SHA 256, AES encryption. Card link range 100 m (with direct line of sight) and up to 50 m in urban propagation conditions. Rx current: 2.5 mA (1V); Tx current: 40 mA for +10 dBm (1V). Low Rx channel sampling energy. 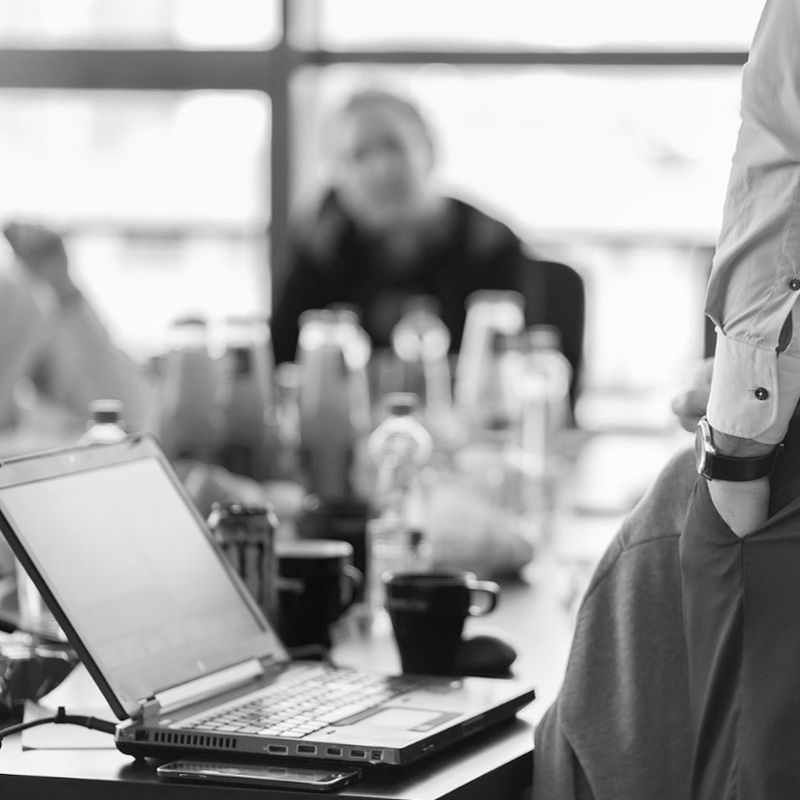 An issuer performs many functions such as gathering KYC data and managing backend accounts. In the Mycelium architecture, however, an issuer distributes not only cards and mobile wallets but also issues and redeems the “money” itself. This sort of functionality allows Mycelium to develop a competitive advantage over traditional issuers. Issuer provides consumers with cards and mobile wallets; deposits money in relation to debt or deposits; maintains account data. Customers enjoy a similar experience analogous to present-day “online banking". Amazingly, an issuer can serve as an acquirer by simply buying back its digital tokens. Another option is to list those tokens on third-party cryptocurrency exchanges. An issuing institution can expand its reach by buying back its digital tokens from other banks at a reasonable discount. Cards and wallets can pay to one another directly as well as to merchant consoles. Additionally, merchants may be enabled to top-up accounts directly. Consumers can transact (i.e. buy and sell digital tokens) with third parties including banks where they do not have accounts. Similarly, merchants are free to trade tokens anywhere they prefer. No party, including merchant's bank, needs to control or certify its hubs since they do not store any user-data. Their entire function is to serve as wireless traffic gateways. In-bank arrangements should not cost more than $50,000. This includes basic educational sessions held in several branches. Local certification of new services and physical cards are not included. The KYC and accounts backend software processes remain the same. The main addition to usual procedures is the handling of money emission. Operationally, it is quite straightforward. However, each issuer needs to create safety procedures to protect issuer's status and the already issued money from devaluation through a fraudulent emission. Mycelium makes many network-related procedures obsolete. Educational sessions will cover the topic of how to fill the gaps of ordinary workflow procedures. Setup for an average venue should be less than $100. This includes hardware, printed instructions, and one voice-call session with our support stuff. This estimation is based on a standard floor-space size of no more than a few hundred square meters. Payment from a phone is possible either through the scanning of QR codes or by entering an invoice number into the card. (see user manual video below). Changes to the payment procedure will incur additional costs associated with an increased number of support inquires. If implemented slowly and steadily, the deployment period may not require additional support personnel. The distribution costs for mobile wallets should not exceed a few dollars per person assuming the targeted users are already part of an existing client base. Most banks have internal statistics regarding mobile application adoption. Mycelium capabilities could even be included as a part of regular software upgrades. If required card quantities are small then the price per unit may exceed $50 or more. Please note that cards, being a more conventional means of payment, promise to deliver better adoption rates when compared to mobile applications. Each card can really create additional value for the issuer. Any costs or fees required for card implementation are offset by its advanced functionality and value-added services for customers. Eventually, higher volumes will drive the price down as well. To check a current balance, a card holder needs to push and hold Button "1". The balance is also displayed after each completed payment. The default mode of the card is "Pay". To pay, the card holder needs to enter a two-digit invoice number and tap OK. The payee can use any channel of communication to inform the paying party (the card holder) what the invoice number is: verbally, visually or any other way. This communication does not necessarily have to be secure. Invoices can be created either with a card or through a Mycelium mobile or web application. When the card finds the needed invoice, it displays the item name and the amount to be paid. At this point a security measure is applied: both parties need to compare the keywords displayed on their screens. The card performs a "handshake" via ECDH key exchange and thus establishes an encrypted session. The common key for this symmetric encryption is stored aboard the card and can be used again if the same cards need to perform a P2P transaction at a later time. To receive payment the cardholder needs to push and hold Button "3" after which the card shows the invoice number that it is currently transmitting. That invoice number needs to be communicated by the cardholder to the paying party. Mycelium cards use recombination tables instead of PIN codes to confirm payments. The reason is for improved security since frequently used buttons might become visible due to abrasion. Card holders can change the authorization code anytime (from the card, itself) by holding Button "8" to enter Code Changing Mode. A card can also be completely reset with a PUK code. 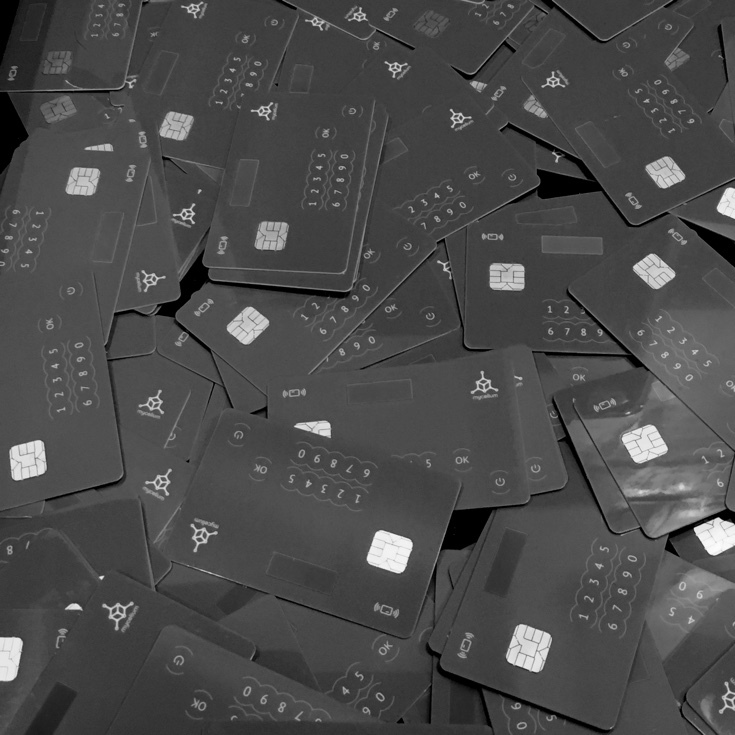 It is suggested that users store one or two blank cards to be able to restore a lost card at any time without requiring assistance from financial institutions.